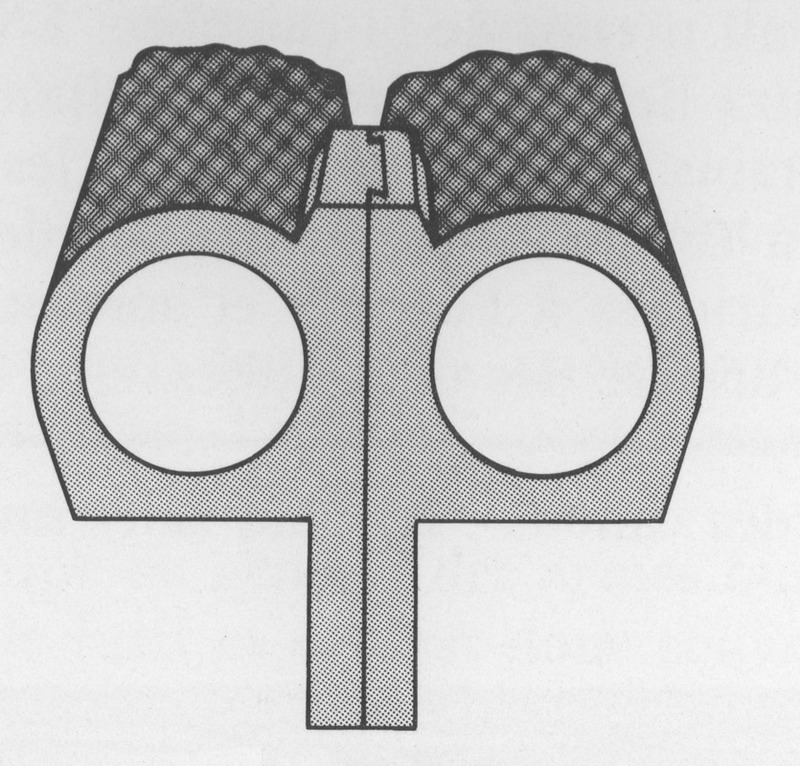 Lumps - The projections extending downward from the breech end of a side-by-side gun. Into the lumps are machined the hook (the concave semicircular cut in the front lump, to swivel around the hingepin) and the bites (the square cut notches, to accept the locking bolts). Also called underlugs. 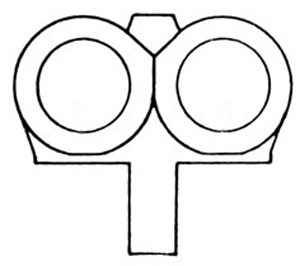 Joint between the two sections of integral lumps of a set of chopper-lump barrels. Chopper-lump barrels (called Demi-bloc barrels in Italy) - A method of joining the two separate tubes of a set of barrels where the right-hand half of the pair of lumps under the barrels are forged integrally with the right barrel and the left-hand half of the pair of lumps under the barrels are forged integrally with the left barrel. 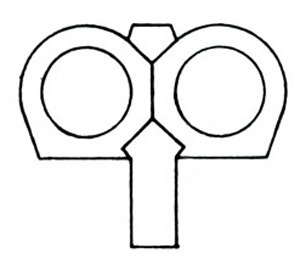 Chopper-lump barrels can be recognized by the fine joint-line running longitudinally down the center of each lump. This method of jointing barrels is the best because it is the strongest in relation to its weight and because it allows the two barrels to be mounted closest to each other at the breech end, reducing problems regulating the points of aim of the two separate barrels. One of the acknowledged attributes of a "Best Gun". Jointing ordinary barrel forgings by the platform lump method --- breech end view. Also called shoe lumps. 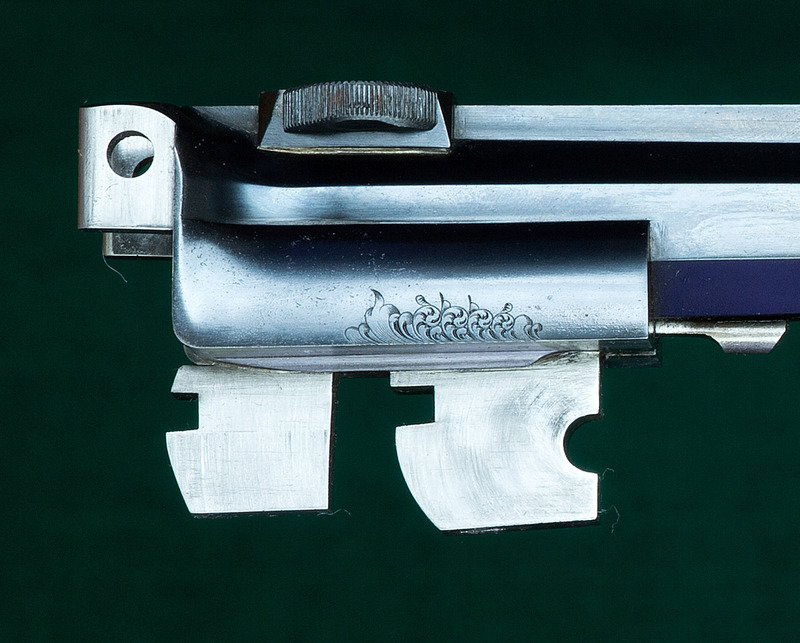 Jointing ordinary barrel forgings by the dovetail lump method --- breech end view. This is the most common method of jointing barrels. 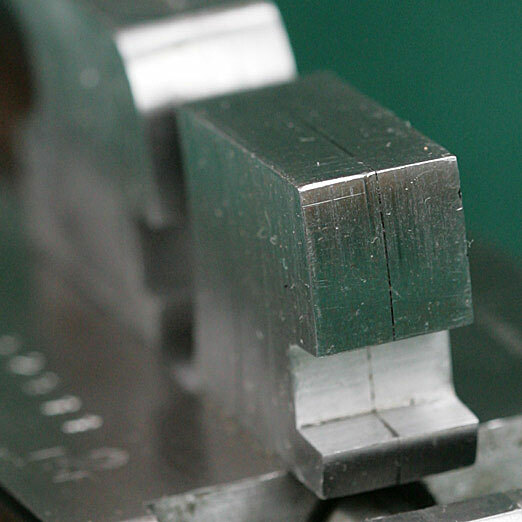 Jointing by the Chopper-lump method --- breech end view. 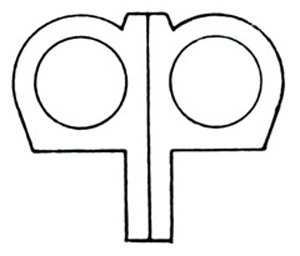 One side of each lump is integral homogeneous steel with its respective barrel tube.